Saturday 13 April 2019 8:00pm – 10:00pm – Fairfield House Antipodes is a collective of New Zealand and Australian jazz musicians playing original compositions that emphasise melody, emotive soundscapes, and an open improvisational aesthetic. Saturday 29th September 2018 Lindy Valente entertains on Friday evening at the popular Rimu Wine Bar, on Mapua Wharf. Kia Ora and welcome to NelsonWeb. Nelson New Zealand’s longest serving online directory with our ‘less clicks’ Nelson Tourist and Visitor Information Guide. Nelson Accommodation meets all requirements and budgets from the independent traveller to the more luxury traveller. So whether it be a self-contained cottage, holiday home, backpacker hostel, bed and breakfast, motel or hotel, luxury lodge or boutique Nelson accommodation. The Nelson events calendar has a year round focus from the Summer Festival to the Arts Festival in September. Bars and Clubs provide ample and varied evening entertainment. Live music is often a feature, from informal jazz evenings to classical music concerts at The Nelson School of Music. Think sunshine, beaches, seafood, chilled white wine and the Jazz festival. Collingwood street trolley derby is a favourite with young and old. Think sunshine, great golf, Pinot Noir wine, winter music festival and the Rainbow ski field. Interesting and art filled, there are plenty of reasons for the sun to shine in Nelson. Enjoy the beautiful environment while you get involved with the creative local culture available in small boutique galleries to large open well established galleries, such as the Suter. There are a range of short term workshops available for visitors. Nelson’s Saturday Outdoor Market is an experience not to be missed to stop for food, jewellery and crafts. Nelson has a thriving multi cultural cafe culture throughout. Many double up as galleries to display unique local art, there is a thriving Nelson wine industry and a number of boutique breweries, some offering tours and tasting! Nelson visitors are also known to take advantage of the growing natural health, alternative medicines, and holistic well-being courses and treatments available in the area. Nelson's only Marina-side motel. Comfortable, fully air-conditioned non-smoking studios. 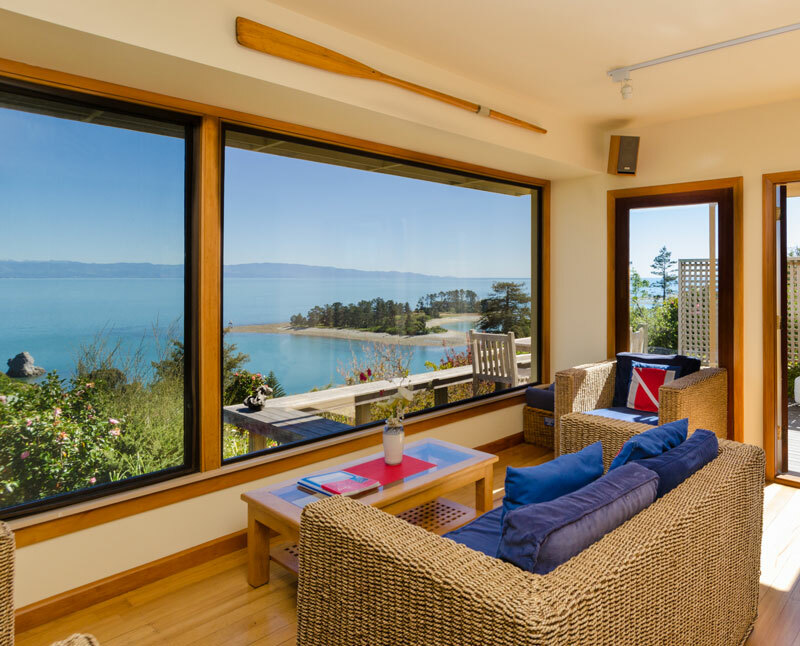 Bed & breakfast boutique luxury with spectacular views over Tasman Bay. Warwick House Bed and Breakfast Accommodation, offers luxurious boutique bed and breakfast accommodation in Nelson’s famous turreted ‘Castle’. Welcome to Tuscany Gardens, a taste of the mediterranean at the top of the south. A unique adventure destination, central to 3 major National Parks. The most highly accredited fly fishing Lodge in New Zealand. Internationally renowned art glass displayed in the gallery, made in the glassblowing studio. Stunning wilderness lodge. Perfect 5-star base for exploring Abel Tasman National Park. Luxury suites, gourmet dining.